The concept of a character that has magic tattoos, holy scarification, implanted body piercings, or arcane brands on their body is not uncommon in fiction, but is often difficult to achieve in the Pathfinder Roleplaying Game. Most magic tattoo rules work like magic items, requiring a significant expenditure of time and money and generally not being available early in a character’s career. 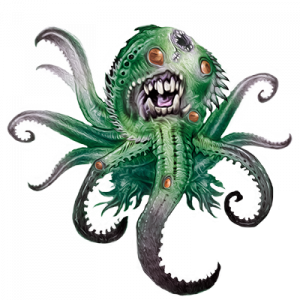 The eldritch mark rules instead treat the abilities gained by those with special markings (regardless of what kind of body modification they represent—even painted symbols could be represented by this system) as feats. 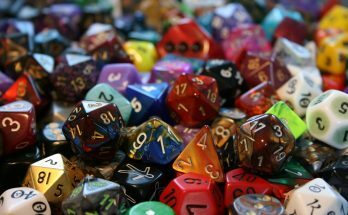 It’s up to the player and GM to determine how and why eldritch marks are gained, but game mechanics simply give each a set of prerequisites and a benefit. All eldritch mark feats follow some basic rules. A creature has a number of eldritch mark slots equal to their number of magic item body slots. The locations need not be the same (eldritch marks are often placed on the legs, though there is no leg magic item slot—Pathfinder hates magic pants). Having an eldritch mark in a slot does not prevent having a magic item (or even magic tattoo using different rules) in the same slot. Eldritch marks must be accessible by the bearer and at least partially visible to function—whether they are gods, spirits, or loopholes in the fundamental rules of the universe, the forces that empower eldritch marks don’t reward those who hide their brands. Exposing enough of the eldritch marks for them to be functional isn’t particularly difficult—an arm might be covered in divine scarification, but only a few key glyphs around the forearm might need be exposed, or a tattoo across the back might continue up onto the face to expose the world to its power. Of course, when attempting to cover your body with armor, there’s less flesh exposed for such magic displays. A character can’t have more active eldritch marks than his armor’s Maximum Dexterity Bonus to AC. Inactive marks are not removed, their benefits simply do not apply until they can be seen exposed. A character can access his own eldritch marks even if grappled or pinned, but it is possible to be manacled or bound in such a way as to prevent such access (though an Escape Artist check to reach a specific eldritch mark generally has a DC 6 lower than the Escape Artist check to completely escape a set of bonds). An eldritch mark can be either permanent (such as a tattoo or brand) or temporary (such as painted symbols or marks created by weaving runes into your hair). Permanent marks can’t be removed by erase, or dispel magic or similar effects, but can be physically cut from the body (with roughly the same effort and pain as cutting off a finger). If removed in this way, the eldritch mark is lost unless the bearer gains a heal, regenerate, restoration, or similar magic. However, when the character gains a new character level, all lost eldritch marks are restored. Temporary eldritch marks must be applied each day (taking roughly an hour, though this can be done at the same time as the hour for spell preparation or regaining spell slots), and last for 24 hours. Temporary eldritch marks can be destroyed by anything that would destroy a scroll, but can be easily re-applied by taking another hour to do so. A character decides if an eldritch mark is permanent or temporary when the feat is taken. Prerequisites: Knowledge (arcana) 1 rank, base Will save bonus +2. Benefit(s): As a swift action, you can imbue your weapons with a fraction of draconic power. For 1 round, your weapons deal +1 point of fire damage. For every five levels you possess, this fire damage increases by +1, to a maximum of +5 at 20th level. Prerequisites: Strength 15, Knowledge (engineering) 1 rank. Benefit(s): When determining your carrying capacity, treat your Strength score as if it was 4 higher. You are armored, even against spirits. Prerequisites: Use Magic Device 1 rank, base Fortitude save bonus +2. Benefit(s): Any armor bonus or natural armor bonus to AC you have is treated as a force effect. You can see more than the mundane eye exposes. Prerequisites: Wisdom 15, Perception 1 rank. Benefit(s): When you make a Perception check, if you beat the DC to notice something by 5 or more, as a standard action you can examine it for mystic connections. This acts as detect magic, except it requires a standard action each round and applies only to a single creature, object, or 5-foot cubic area at a time. You may choose to use a Perception check, rather than a Knowledge (arcana) or Spellcraft check, to identify any aura or magic you detect. You can draw a creature’s eyes to you. Prerequisites: Charisma 15, Diplomacy 1 rank. Benefit(s): You have a scintillating, beautiful eldritch mark that allows you to fascinate a target creature. The creature must be within 30 feet, must be able to see you, must not perceive any obvious threat other than you, and must not be unfriendly or hostile toward you. Fascinating the creature is a standard action which requires a Bluff or Diplomacy check with a DC of 10 + the target’s Hit Dice + the target’s Wisdom modifier. On a successful check, the target is fascinated by you (as the condition). You can maintain this effect with a move action each round, as long as you do not attack the target or its allies, or use any effect on the target or its allies that requires a saving throw. Other than these limitations, the fascinated target automatically ignores anything you say, allowing you to talk freely to your companions, but the target is otherwise aware of (and will remember) everything you do. A target you have fascinated is considered distracted (allowing creatures other than yourself to attempt to use Stealth to move past it, for example). Greater eldritch marks are larger, more impressive, and more powerful than standard eldritch marks. Each counts as two eldritch marks for purposes of mark slots and how many marks a character can have active. If damaged or removed, the mark can be restored normally. Prerequisites: Knowledge (arcana) 1 rank, Dragon Mark, base Will save bonus +2. Benefit(s): Against breath weapons, you are treated as if you had evasion. If you have evasion, you instead are treated as if you have improved evasion. If you have improved evasion, you instead gain a +4 bonus to saving throws against breath weapons and fear effects. Prerequisites: Strength 15, Knowledge (engineering) 1 rank, Elephant Mark. Benefit(s): Your speed is unmodified by armor or encumbrance. Prerequisites: Use Magic Device 1 rank, Ghost Mark, base Fortitude save bonus +2. Benefit(s): Any unarmed, natural, or weapon attack you make is treated as a force effect. You can easily see more than the mundane eye exposes. Prerequisites: Wisdom 15, Perception 1 rank, Owl Mark. Benefit(s): You gain a +10 bonus to identify auras and properties of magic with your Owl mark using Perception checks. You can draw all eyes to you. Prerequisites: Charisma 15, Diplomacy 1 rank, Peacock Mark. Benefit(s): You can use your Peacock Mark on all appropriate targets within 30 feet as a standard action. Other than the increased number of targets, this functions as Peacock Mark.